Being a mother of your newborn baby brings a lot of happiness to you but some responsibilities too. The most important responsibility is to keep your precious little ones healthy and fit. And one of the most important tasks among checking your baby fitness is to keep tab on their weight. You can easily do it at your home if you have a digital baby weighing scale at your home. Digital Baby Weighing Scales are the handiest tools that make you monitor and record your baby’s weight consecutively in his/her growing years from the comfort of your home. Also, it is a trouble to visit frequently the pediatrician or a health consultant for a simple weight check-up of your baby. It is a bit pricey too. And so, it is best to have a baby weighing scale at your home. The digital baby weighing scales enable you the regular tracking of your baby’s weight over their growth period and thus making you know about his/her health conditions. The smart digital weighing scales come with a lot of innovative features that makes it so handy and easy to use at home. The first and foremost thing you think about your new little ones is their comfort. So, it is best to buy the digital baby weighing scales with a comfortable pan or weighing tray. The weighing tray comes with a padded construction and so offers a comfortable weighing position to your baby. Also, go for the one with a curved pan structure as it avoids your baby from being fallen down. The digital baby weighing scales with strong and flat base offer the most consistent and accurate weighing measurements of your toddler. Always go for the digital baby weighing scales featuring higher weighing capacity. This feature makes it possible to weigh your child in his growing years in the long run. But it is also important to first consider your baby age and then decide the right model. Also, make sure to check the accuracy rating of the scale for getting accurate weight measurements every time your baby steps on it. The best models of digital baby weighing scales come with the feature of tare function. It means you can subtract the additional weight of your baby clothes and diaper, to get the actual body weight of your baby. This is one of the best features of every modern digital baby weighing scales are equipped with. The large LED display shows off the weight of your baby with the great readability feature. Some of the advanced digital baby weighing scales comes with more smart features, but they are pricey too. 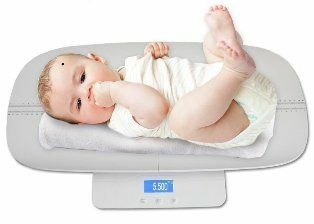 The digital features in a baby scale let you weigh your baby automatically. You can also connect it to the network via Wi-Fi or Blue Tooth to check the records on your PC or iOS device. So, are you ready to buy a smart digital baby weighing machine to track your baby weight? We have rounded up here some of the latest models with smart features that you can easily use at home. So go through the quick list we have made and then read the full review of each model that will surely make your buying decision easier. This comes in the top of our list for its amazing features. The MCP Digital Baby weighing machine not only weighs your baby but also tracks the height of your baby. It comes with padding that makes your baby comfortable while he/she lay down on the pan. The best part is that as soon as you remove the tray, this weighing scale helps to weigh for all ages. Its maximum weighing capacity is 100 Kg with the accuracy of 10 gm. This baby weighing machine also comes with the hold feature that keeps the weight on the display even when your baby wiggles around. This baby weighing scale from Equinox is loaded with smart features, and hence a great option to weigh your baby more accurately. It lets you to track not only your baby weight but also height measurements too. It comes with a large LCD display to read the figures very easily. The maximum weighing capacity of this weighing scale is 25 Kg. The very best feature is its built-in memory for 8 toddlers with 15 records of each toddler. Apart from this, it also comes with the delta weight feature means it can also calculate and display the difference in weight from the last reading. This weighing scale from Vmore is another best option to measure your baby weight from the comfort of your home. It can measure up to 40 Kg with the accuracy of 10g. 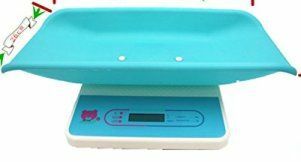 This digital baby weighing machine is a double scale tray that you can use to measure the weight of the infants and also the upper tray can be detachable to have a flat platform to weigh your kids when they stand on it. This scale also has the programmable auto on and off feature and displays weight in pounds, ounces, grams, and kilograms. This digital baby weighing scale from Techsun comes with a large, soft, and safe platform that makes your baby feel comfortable while weighing. Its maximum weighing range is 40 Kg with the accuracy of 10 gm. It is also a double scale tray means, the upper platform can be used to weigh infants, and when it is removed, there is a flat platform to weigh kids in the standing position. The convenient and easy to read LED display shows the weight very accurately. This electronic baby weighing scale is the smart choice to weigh your baby on a regular basis. This one offers the very quick measuring results in no time. With it’s large, smooth and curved surface design, it promises to offer a very comfortable weighing of your baby. The maximum range of this weighing scale is 20 Kg and displays weight in Kg and pounds. The Rossmax WE300 digital baby weighing machine is yet another smart buy for measuring your baby weight from the comfort of your home. Designed for providing comfort to your baby, this baby weighing machine offers you the precise and accurate weight measurement of your baby. It comes with a large digital display so that you can easily read the measurements. Plus you can check the measurements in Kg, lb and oz units. The weighing machine also has the tare feature as well as hold function that keeps the weight on the display even when your baby wiggles around. This model of MCP digital baby weighing machine is ideal not only for home use but also for clinics and hospitals too. Its sleek and portable design makes it an ideal addition for your home. It comes with a large curved platform to hold your baby perfectly while weighing him/her. The scale comes with a large readable LCD display that lets you see the weighing figures very easily. It also has a tare function allowing you to take the accurate weight of your baby excluding the weight of clothing, towel, or blanket, etc. 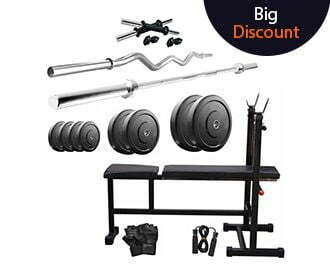 The very best part is that it comes with a split type design that lets you convert it into a toddler weighing machine by removing the measuring tray. This weighing machine also has the foldable option that makes it easy to carry with you even with your baby. Now, this is the next best choice to track your baby weight from the brand Teclusive. This weighing machine is designed so smartly ensuring the comfort of your baby. It comes with a high precision “strain-gauge” sensor and high capability CPU to give the accurate weight of your baby every time. The machine also has a “tare” feature that gives your baby weight even without any added weight including towel or blanket etc. You can easily use the machine in a dual way, means you have the option to remove the baby tray and use it as a normal weighing machine. And the maximum capacity of this digital baby weighing machine is 100 Kg and 10 g of minimum capacity. 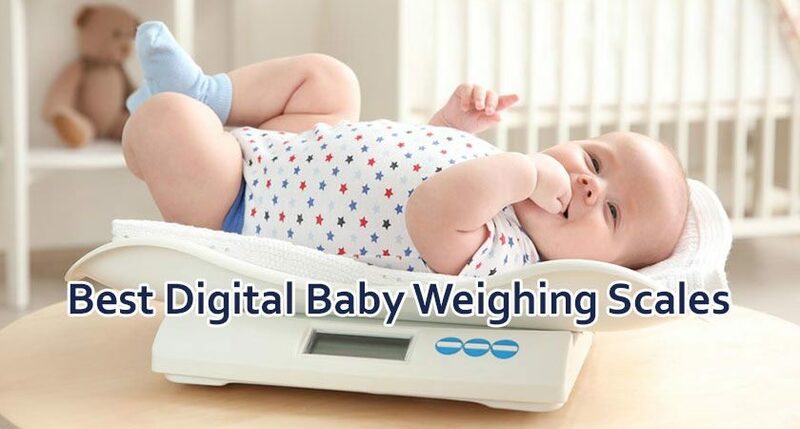 This digital baby weighing machine from the brand Vepson can measure the maximum weight of 40 Kg, and the minimum weighing capacity is 10 g. Providing your baby the absolute comfort, this one is really a nice purchase to use at your home. It comes with a split type design that lets you detach the tray also to measure the weight of babies of different ages by stepping on it. Its large LCD display makes the weighing figures very much convenient to read. Plus, when it comes to accuracy, this machine is really very good that offers precise measurements every time. Even the compact and portable design of this digital baby weighing machine makes it convenient to carry along with you. 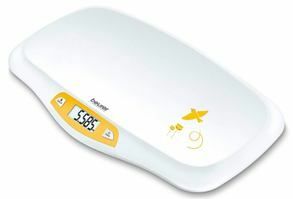 The next is Beurer digital baby weighing machine with a host of unique features and great performance. This baby weighing machine is designed with a curved weighing platform to offer your child the feeling of security and comfort. And is very reliable that precisely measures the weight of even the newborn baby. Its large LCD display making the figures to read very conveniently and easily. The machine is equipped with the tare function that excludes out the extra weight of blanket and towel on your baby and offers only the exact weight of your baby. Also, it comes with an automatic or manual hold function to record the weight of wriggling babies. Plus the auto lock function displays the weight when the machine is stabilized enough to detect the exact value. This is all about the best and latest models of digital baby weighing scales to track your baby weight on a regular basis. All you can do from the comfort of your home very easily which is the best part. Show your extra care and love for your little ones by buying a weighing machine for him/her and keep track of their health stats. Hope the buying guide will make you buy a perfect model for your toddler.